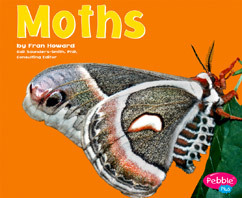 Originally complied in honor of National Moth Week, this list of children’s books about moths and butterflies has been growing steadily. The books are organized by genre and by reading level. Why celebrate moths as well as butterflies? Because, as the website mentions, moths are numerous, diverse and successful, yet often ignored. 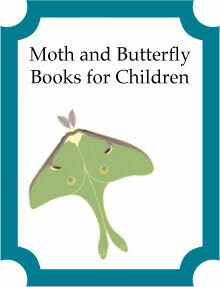 Published in April 10, 2012, this book for 4 to 6-year-olds explains how a caterpillar transforms into a butterfly. It also includes some information about poisonous caterpillars, which is something children should be aware of. As to be expected of a book published by National Geographic, it is illustrated with large, high quality color photographs. There are a few activities in the back to reinforce learning. Big color photographs are accompanied by simple, controlled-vocabulary text. An introduction to some of the features of moths, including their colors, what their wings look like, and how they scare predators. An older book which may be hard to find, but the story of the relationship between the yucca and the yucca moth is fascinating. See Gardening for Moths for an introduction to yucca moths. The team of Aston and Long have written and illustrated other award-winning books, such as An Egg is Quiet and A Seed is Sleepy. This new addition is even better, if that is possible. How do you top perfection? They found a way. Start with the front endpapers, a collection of vibrant caterpillars with names like “Moonlight Jewel” and “Hieroglyphic Flat.” Skip to the back endpapers and you will find equally vibrant illustrations of the butterflies that come from those caterpillars. You can spend hours studying the endpapers alone. Although it is beautiful, it is not lightweight. Aston has obviously done her research. She packs some hard science into the text, using words such as pollination, camouflage, predator, and migration. Nic Bishop is an award-winning photographer and his books are a visual treat. The information is accurate and well written. 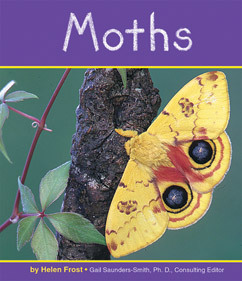 This is a beautifully-illustrated picture book describes the differences between butterflies and moths clearly. (Google books has a preview). It also would be useful for units on life cycles. We all know about the migration of the monarch butterfly, but there are other butterflies and moths that disperse or migrate over long distances. This particular book follows the migration of cloudless sulfur butterfly from the rainforests of Central America into the U.S. Long distance flight by such fragile creatures is amazing. This book is an account of a classroom caterpillar that undergoes metamorphosis into a beautiful painted lady butterfly. The Let’s Read and Find Out Science books are uniformly high quality and this title was named as a NSTA/CBC Outstanding Science Trade Book for Children. Part of Judy Allen and Tudor Humphries’ wonderful nonfiction series, asking the question “Are you…?” Are You a Butterfly? Are You a Grasshopper? Are You an Ant? All are beautifully done and well-researched books. The child is brought into the story in a creative way. Done in rhyme, these Cat in the Hat science books are very informative and fun to read. This picture book for the youngest set is bright, bold and beautifully done. It traces the life cycle of a butterfly very simply, and then has a bit more in depth information about butterflies and flowers at the end. There’s even a page of information about butterfly gardening. Butterfly or Moth? : How Do You Know? (Which Animal Is Which?) by Melissa Stewart (2011) uses color photographs to explore whether an insect is a butterfly or moth. For example, by asking, “Knobs or no knobs?” Stewart points out that butterflies often have knobs on the tips of their antennae, whereas moths often have feathery antennae. It’s a Butterfly’s Life by Irene Kelly. This nonfiction book has many lovely illustrations. If you are looking for a book for beginning reader, be aware that the font looks like hand lettering and the sentences wave up and down across the page, almost like the pattern of a butterfly flying. This looks lovely, but may be hard for a struggling reader to read. It has many interesting facts, and covers the butterfly life cycle in detail. This older book follows the life cycle of a black swallowtail butterfly step by step. Includes suggestions for growing a butterfly garden. Follow along with the children in Mrs. Best’s kindergarten class as they hatch painted lady caterpillars from eggs, feed them a special diet, and wait patiently for the butterflies to emerge from their chrysalids. Caroline Arnold is both the author and photographer for the book and she has captured some fun and incredible images of both the insects and the children. Life Story of a Butterfly (Animal Life Stories) by Charlotte Guillain explores the life stages of the monarch butterfly with bright, colorful close-up photographs. The reader will learn what the parts of a butterfly are called, how the young are different from the adults, how long they live, and where they go in the winter. When Butterflies Cross the Sky: The Monarch Butterfly Migration (Extraordinary Migrations) by Sharon Katz Cooper and beautifully illustrated by Joshua S Brunet looks and reads like a fiction picture book. Don’t be fooled though, because it is filled with concepts and facts, especially relating to the migration of a female monarch south and back again. 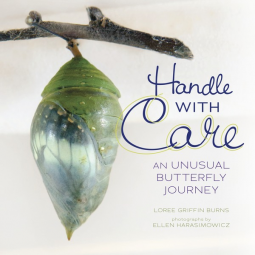 Handle With Care: An Unusual Butterfly Journey (Junior Library Guild Selection) by Loree Griffin Burns and with photographs by Ellen Harasimowicz is a lovely book for youngsters that will surely inspire a trip to a butterfly exhibit. It explains that the tropical butterflies seen in local butterfly exhibits come from butterfly farms, and then visit such a farm in Costa Rica. 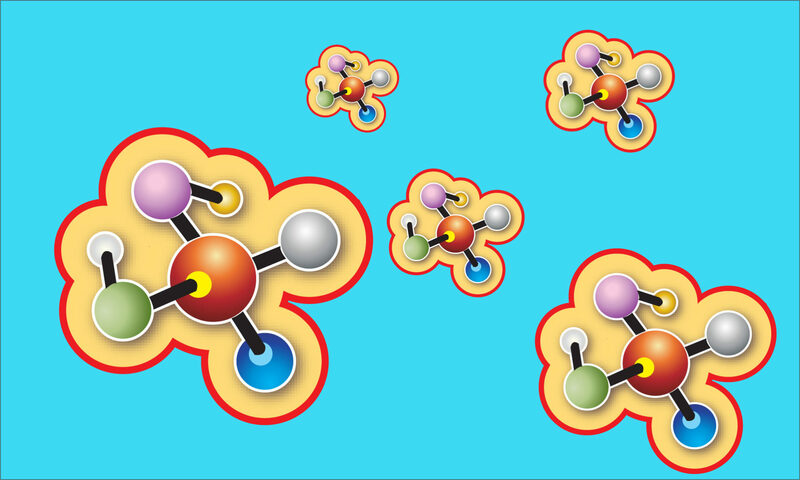 You will want to use it to accompany units on life cycles, farming, and insects. Read it and watch children’s imaginations take flight! Formulated in a question and answer format, the reader can quickly find information to write a report or satisfy curiosity. For example, do you know why the larval stage of a butterfly or moth is called a caterpillar? As Stewart points out, the word caterpillar comes from French words meaning “hairy cat.” Isn’t that so much more poetic than some other scientific terms? Also, Stewart includes detailed information about how a butterfly is different than a moth on page 24, with a gorgeous photograph of a luna moth to accompany it. The Monarchs Are Missing: A Butterfly Mystery by Rebecca E. Hirsch. Illustrated with large color photographs and clever illustrations, this book delves into all the reasons that monarch butterfly populations have been on the decline. Hirsch goes beyond the loss of habitat in the monarchs’ overwintering sites in Mexico. Darlyne Murawski is an award-winning photographer, as well as writer and biologist. 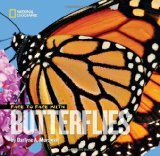 Her expertise is evident in the bright full-color photographs in both these books from National Geographic’s Children’s Books. The caterpillar book starts with a close-up photograph of an Australian caterpillar eating an ant larva. Then we see a photograph of the author laying down under a sheet of plexiglass taking the shot. The book covers where to find caterpillars, their life-cycles, defenses, and a brief discussion of the differences between butterflies and moths. Filled with awesome illustrations and just enough information, it is all you’ve come to expect from DK Books. Butterfly Papercrafts: 21 Indoor Projects for Outdoor Learning by Sal Levinson and illustrated by Danielle Levinson. This book introduces children to both art and science in an integrated way. Topics covered include the differences between butterflies and moths, butterfly life cycles, butterfly gardening, puddling behavior, migration, camouflage and more. To explore these topics, children make finger puppets, flip books, paper airplanes, and even a butterfly-shaped kite. The layout consists of a series of two-page spreads with instructions and information about a given butterfly-related topic on the left page and the reproducible template for the craft to make on the right hand page. Also included are black and white photographs of completed projects or activity suggestions. What a wonderful way to learn about butterflies and moths! Butterfly Papercrafts would be a great resource to have on hand for STEAM festivals, units on insects, to accompany a trip to a butterfly house, or for a rainy day craft project at home. A must have for children who love butterflies. 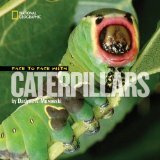 by Michael Elsohn Ross and illustrated by Darren Erickson and Brian Grogan is for children who are interested in science and doing science experiments with caterpillars. This book (and the others in the “-ology” series) are chock full of great information and fun activities. Although they are older, these books are truly unique and worth picking up. Very popular book with projects and activities to do. Too many times books concentrate on adult insects and forget about all the other stages an insect goes through. This book remedies that by giving the the full life cycles of 23 different butterflies. Illustrated with photographs of each stage, this book is truly unique. Hurry the tortoise lives in Wichita Falls, Texas. One fall, Monarch stops for a moment on his back. Hurry learns all about the migration of monarch butterflies when Monarch returns in the spring. Meilo So’s illustrations are absolutely amazing. They are beyond delightful. If you go to Amazon, be sure take a look inside the book. The “creepy-crawly bug” is impatient to go to Mexico, but how? It is an adorable tale of an inchworm that escapes from some hungry birds in a clever way. A classic, it won a Caldecott Honor. This book could also be useful as an introduction to measuring. The Girl Who Loved Caterpillars : a twelfth-century tale from Japan adapted by Jean Merrill and illustrated by Floyd Cooper. It is hard not to love a book that is so beautifully written and illustrated. The overall tale is of a lovely young Japanese girl who defies the traditions of her time. She prefers caterpillars and centipedes to butterflies, and collects and raises them. This story is incredibly complex, and even makes adults who read it think deeply about it. One issue is the fact that the story is probably only the first chapter of a much longer tale, but the rest has been lost. Some people may wonder why the author didn’t construct her own ending. Rather than detracting from the book however, for me it only made it more interesting. First published in 1909, this classic book is about Elnora Comstock, a girl who comes up with a plan to fund her college education by selling moths and other natural objects.